Lovely! I've been thinking about how so many of the leaves this time of year have a yellow hue. You're right: one deciduous waterfall. Hi Emily -- Thanks for the comment. Yes, everything pops with color in early spring -- that "spring green" with, as you point out, a yellowish note. 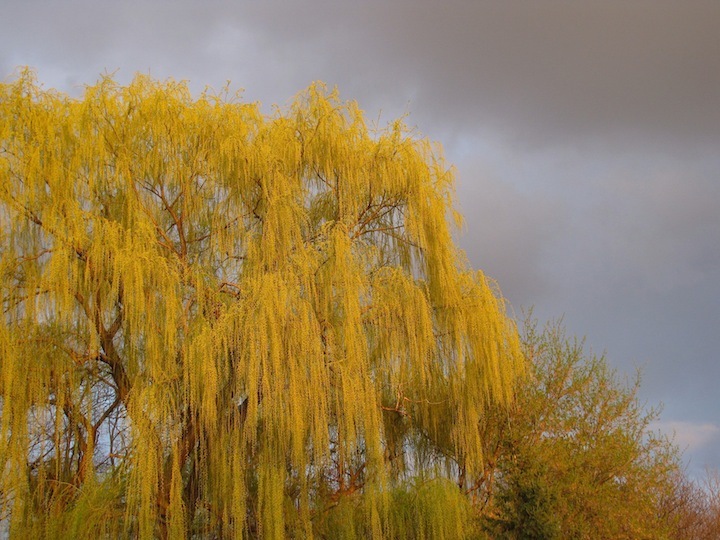 I'd never noticed a willow with such color before. 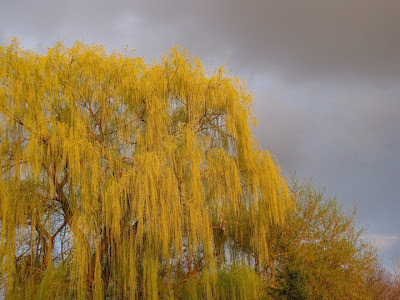 I think it was the effect of a nearly setting sun shining on those wonderful drooping branches -- all seen against the cold gray of a stormy sky.